Which deck cleaners and stains are best for you, and how do you ensure a professional level clean without hiring a professional? We have a Spring! Winter appears to finally be releasing its grip on most of the country, giving way to warmer temperatures, blooming plants, and the incessant need to clean. It’s what we call Spring cleaning, and undoubtedly you’ve heard the term. If you’re ready to kick off spring cleaning but have no idea where to start, you’ve arrived at the right web address. With the weather warming and all of us itching to take advantage of the suddenly pleasant outdoors, preparing your back deck for usage is an excellent place to kick things off. So let’s do it. Chances are you haven’t spent a lot of time on your deck or porch over the last couple months, on account of the whole winter situation. Now that spring has sprung, it’s about time to take advantage of the milder weather that’s coming. Now at this time of year, your deck is almost certainly not in the best shape of its life. 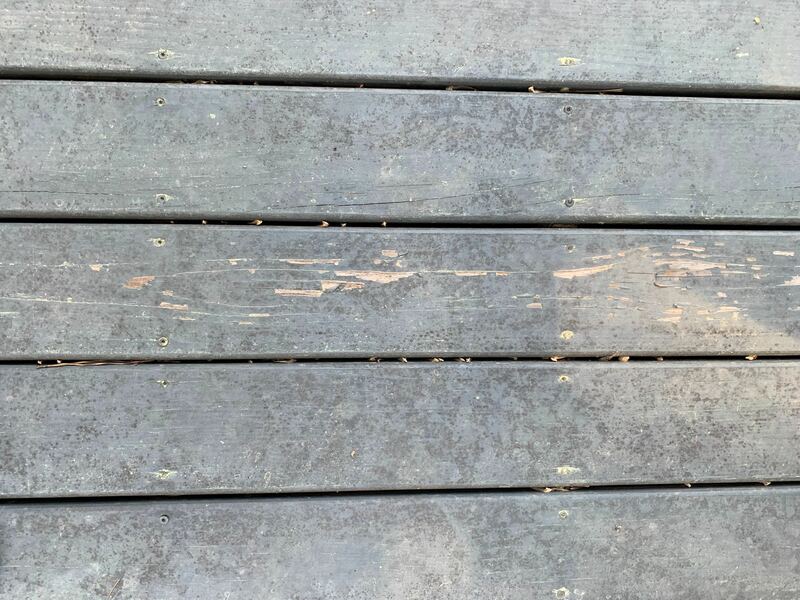 If you have a wooden deck, the lack of use throughout the winter has allowed the wood to lose its color a little, become stained as a result of leaves and tree bark being left on it, and be victimized by the growth of certain mildews. That’s normal though, and some spring cleaning will revitalize its look. Step one is to make sure that you clear everything off your deck. This includes any furniture, lights, or accessories that you may have out there. It also includes all the debris that has fallen during the winter and found a new home on your deck. 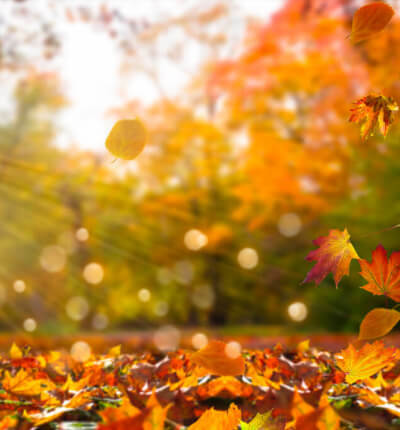 Be sure to clear off leaves, tree bark, pine straw, or any other trash that nature left out there. It’s a good idea to sweep your deck of this stuff throughout winter, as dead leaves and other junk are responsible for pesky tannin stains that leave you with more work come spring. FE Tip: During this step, it may also be a good idea to move any potted plants near the deck away, as you will be working with chemicals. Step two is where you’re going to apply your deck cleaner. There are lots of different kinds of deck cleaners, but most professionals agree that a one-two punch of an oxygen bleach cleaner and an oxalic acid cleaner is the best and safest route. Oxygen bleach will target mold that has grown on and in your deck over the cold months. It’s non-toxic and breaks down into sodium bicarbonate and oxygen, which is the long way to say that it won’t be harmful to you or your deck, unlike the more common chlorine bleach. FE Tip: Apply cleaners to an inconspicuous area of your deck before covering the whole surface with them, so you can see what effect they will have without any risk. Oxalic acid is the follow-up treatment for the visual appearance of your deck. While ineffective against mold, which is why you need a one-two punch, oxalic acid will work wonders removing stains caused by leaves and debris as well as brightening the wood and refreshing the appearance of the wood. FE Tip: Oxalic acid is toxic, so be sure you know how to handle toxic materials and if you’re uncomfortable with it, consider alternatives, such as citric acid. Apply the oxygen bleach first with a stiff bristle synthetic brush. A synthetic brush is always better because it will last longer amid repeated uses involving chemicals. Spread the bleach across the deck with the brush while avoiding pooling of the cleaner in any spots. After rinsing, repeat this step with oxalic acid. We recommend this process, ending with a thorough rinse with a garden hose. 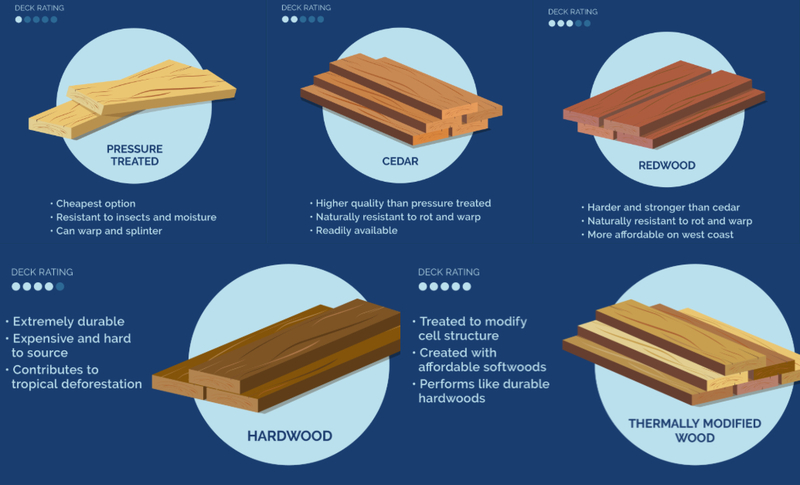 You could also go the power washing route, but it’s critical to remember that most decks are made of cedar, redwood, or pine, all of which are softwoods. Softwood is, as the name implies, soft, making it vulnerable to scarring, stripping, and scratching. The intense pressure of a power washer can strip off the top of the wood, leaving indentations across your entire deck. If you’re determined to go the power washing route, you need to make sure the pressure isn’t too much for the wood to handle. Adjust the angle of the nozzle to decrease pressure and wash in a sweeping motion to avoid a consistent stream of pressurized water on the same part of your deck. A 40 to 60-degree angle is recommended by professionals such as the folks at decks.com. It’s also wise to pressure wash earlier in the year, as cooler temperatures will increase the wood’s density and make it slightly more resistant to the power of the pressure washer. If you don’t wish to go the pressure washing route, soaps and a regular garden hose will work great, and you’ll still have a product to be proud of without the risk of ruining your entire deck. The final step is to reseal if necessary. You probably stained and/or sealed your deck shortly after it was constructed, but it’s a smart idea to recoat it every two to three years. FE Tip: While a deck seal and deck stain are not technically the same thing, a quality deck stain will seal your deck effectively and give it a nice coloration of your choice. If you wish to maintain the natural look of your wood, use only a sealer. First, you need to test the current state of your stain. Drop a little bit of water on the surface of your dry deck, then closely examine the water droplets. If the droplets soak into the wood, it’s time to touch up your deck. If they just sit on top, there’s no need to break out the stain. If you find that you need to reapply stain, the process isn’t overly complicated. The most important part is to make sure the weather doesn’t ruin all your hard work. You don’t want the temperature outside to be too hot or too cold, but since you’re probably doing this in spring, that shouldn’t be an issue. Also, make sure you have a couple of days of dry weather and never apply the stain in direct sunlight. Rain will wash out the stain before it can set and a high sun beating on your deck will cause the stain to dry too quickly, stopping it from thoroughly permeating the wood and making the entire job a waste of time. Now the fun begins. First, identify any trouble areas where your stain is peeling off the wood. If you have none of these, congrats, you’ve avoided one step of this process. If you do, you’ll need to strip off any loose stain and sand it down to remove any abrupt or sharp edges. This will allow for a more uniform replacement coat. We talked earlier about power washers and how they can strip your stain and damage your wood if you use them on your deck without caution. Coincidentally, a power washer is a great tool when you actually do want to strip your deck. At the right pressure rating, your power washer will be able to rip off the loose parts of your stain without damaging the still functional parts of the coat. Use a power sander to sand down the area afterward. After the area has completely dried, use a paintbrush to touch up the stripped area. Apply stain to the entire area and allow it to dry completely. If you only have one trouble area and the rest of your deck’s stain is still kicking, you can probably be done here, although recoating the entire deck won’t hurt. If you have several trouble areas, it’s best to just recoat the entire deck. Use a paint roller to apply a thin coat of sealer to the top of your deck boards. Cover the entire deck while maintaining a thin uniform coat. Avoid pooling of the sealer and break out that paintbrush to ensure evenness in hard to reach areas. After your stain coat has dried, you’re ready to enjoy the outdoors and the (hopefully) nice spring weather from the comfort of your deck.